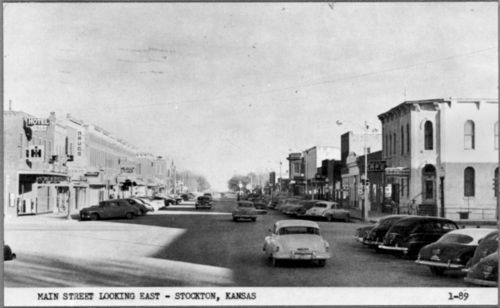 This post card photograph shows a view of Main Street looking east in Stockton, Kansas. A drug store is visible near the left side of the picture. Several other business buildings are visible along the street, including a hotel and a café. Many automobiles are visible driving or parked along the street.